Are you a harp player? Do you want to liberate yourself from the notes on the page? Then you’re in the right place! This Immersion Class is available NOW to take At-Your-Own-Pace. Register and jump right into it. 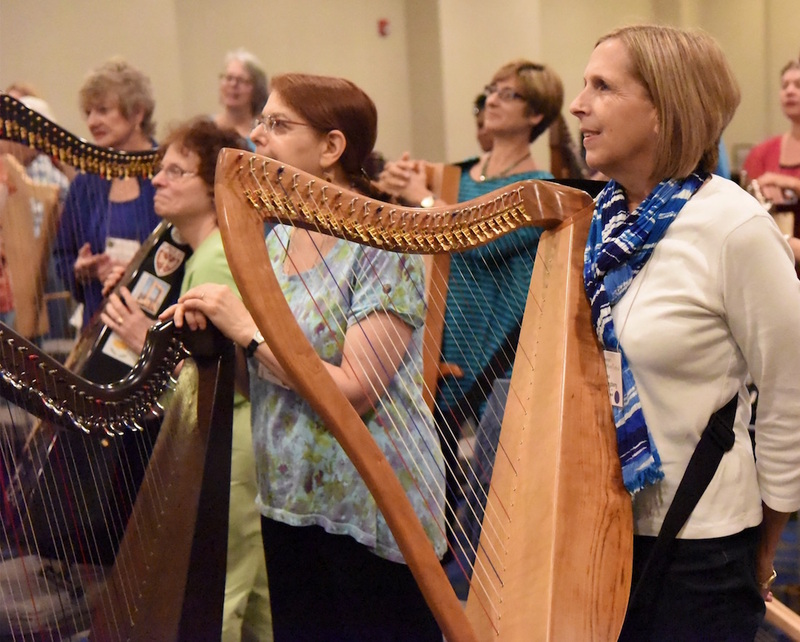 Register as a single class OR register for full membership and get “Sing & Play” Harp PLUS a full year of additional classes. Refresh your browser page to see the updated classes and programs! and you didn’t know how to use it? The truth is that you just DON’T KNOW HOW to use what you ALREADY HAVE! You’re stuck to the page because you haven’t been taught how music ‘works’. This goes for advanced and professional as well as fledgling or intermediate players. You just don’t know how to use what you already have. Well, that’s all about to change! 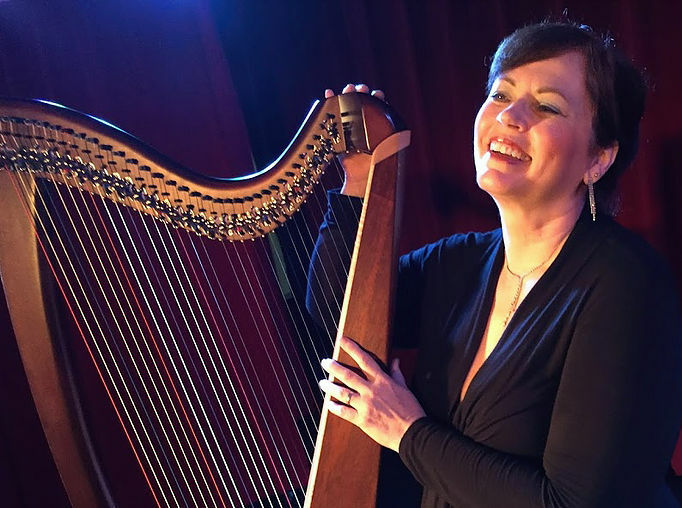 “Hip Harp Academy” is all about learning to express yourSELF with your instrument at the technical ability you have right now, this very minute – and the Full membership level gives you access to ALL the online courses in the Academy for a full year. FOR ADVANCED PLAYERS that means you’ll learn to improvise and really have fun with those ‘chops’ you’ve spent your life developing. FOR FLEDGLING PLAYERS it means learning alternatives to your technical challenges so you can play fluently and creatively right now using the skills you do have. FOR INTERMEDIATE PLAYERS it means learning skills to add to the ones you already have. For everyone it means learning the double-power of simplifying and embellishing so every piece you play continues to expand as you get more and more comfortable with your instrument … and yourself. 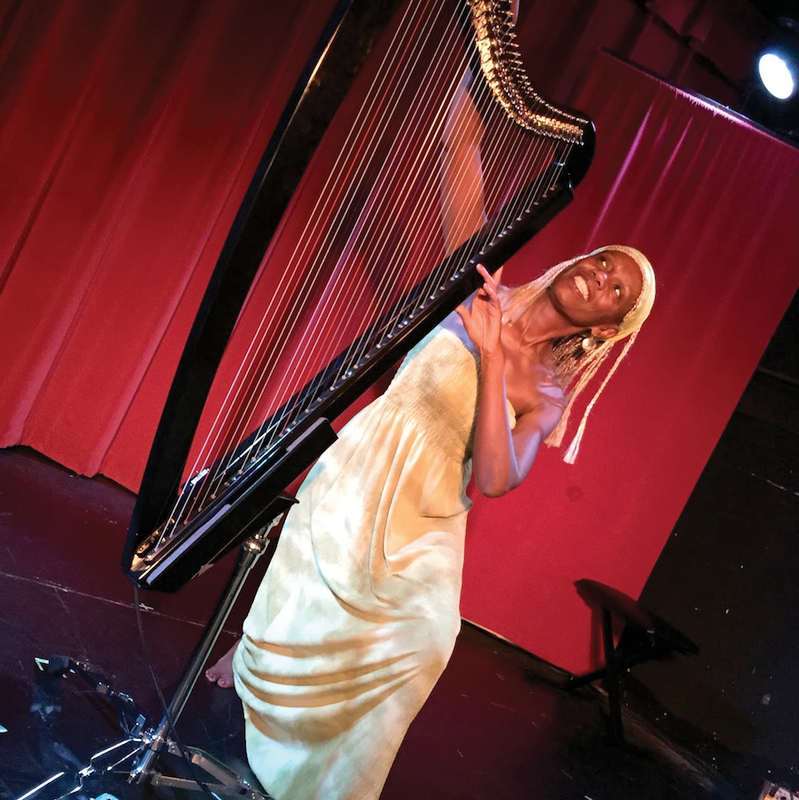 Is a year-long curriculum for Harp Players who want to develop Improvisation, arrrangement and performance skills so they can express themSELVES with their instruments and their music. Once you purchase an individual class, all the training for that class is available for 24/7 access for 6 months. You can purchase and join a class any time – HOWEVER, most people choose to join a specific class when Deborah (DHC) is “guiding” that class. She guides each class once a year, on a schedule, with live chats and assignments to help you put what you’re learning into play. To purchase a single class, click on it in the gallery of classes below. Get yearlong access to ALL classes in the Academy, including ALL guided classes, ALL self-paced classes and all live chats. Some of the programs include more than one class. Click on an image for more information. Some classes are available as single classes. What happens when your instrument truly gets inside you? 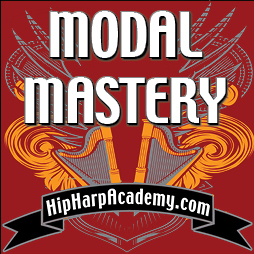 If you’re new to “Hip Harp Academy,” scroll up to see the year-long curriculum that comes with membership. We’re now ADDING the following immersion classes in addition to the standard year-long curriculum. Each one of them unlocks a specialized part of the larger classes, give you special skills to help you apply what you learn. If you’re a returning student, these new immersions will help you apply and expand everything in the year-long curriculum – so you can take your playing to the next level. Each 3-Hour class provides a focused set of skills to enhance the Academy Programs. You can attend these 3-Hour Sessions live, or learn at your own pace – or both. Below are the currently-scheduled live session dates for the first four Immersion sessions. Immersions are recorded live and available for self-paced learning once they’re recorded. Join the ‘Virtual Workshop Audience’ for the recordings to ask questions that will become part of the class! Or … just enjoy the workshops at your own page once they’re posted. 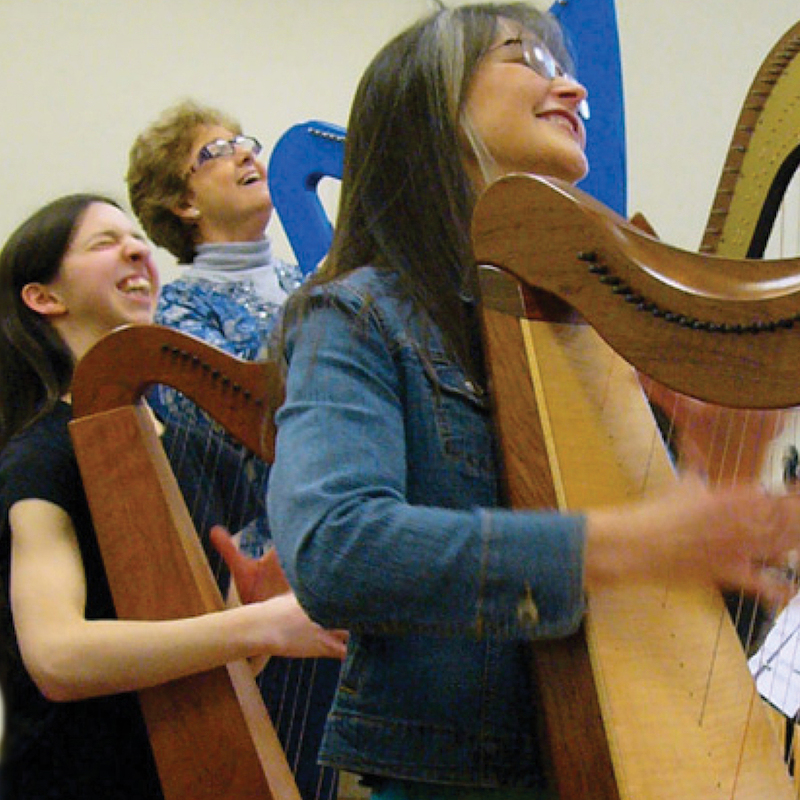 Learn the art of accompaniment with harp while you sing – or while others sing with you! You’ll learn the kinds of stories you can tell with music, including stories from your life, stories of the pieces and composers you play, and narratives, like folk-tales or fairy tales. You’ll learn how to tell your own story, or to work together with someone else to help them tell their story. This training is a core part of “Strings of Passion” – but it can also be taken on its own. 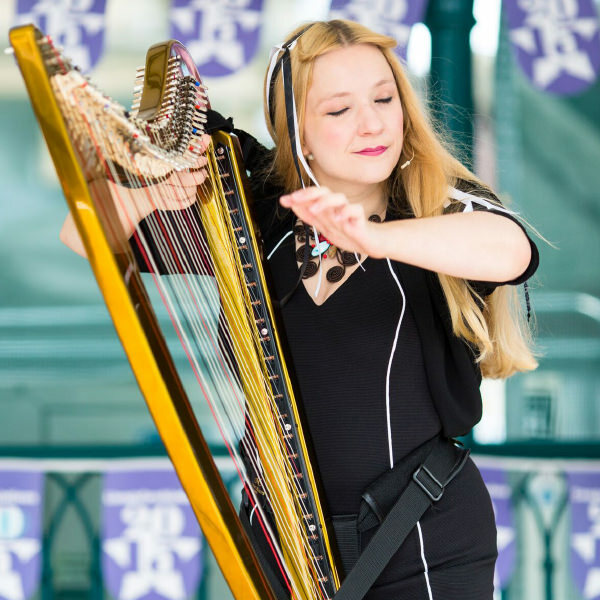 Did you know that you can play in seven different modes without ever touching a lever or pedal on your harp? We’re used to using just two of them. The one we use most is Ionian – better known as the Major Mode. The other is Aeolian, which we call the Minor Mode. Each mode has special characteristic and evokes different creative expression. In this Immersion Training you’ll be introduced to all seven of the modes, with a song you can play and improv ideas for each of them so can actually hear and experience their power and beauty. 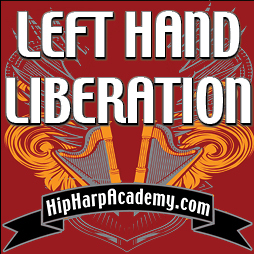 Having a stable of left-hand patterns for accompaniment, improv and rhythm practice is a huge benefit – and that’s excactly what “Left Hand Liberation” is! For years I’ve done a short yearly webinar on Left-Hand Patterns — and students finally convinced me we need a whole training on it with warmups and exercises. So 2019 is the year that Left-Hand Liberation becomes its own immersion class. One of the best ways to start improvising melodically is to learn to connect the harmonic “Fenceposts” in creative ways. It’s kind of like learning to connect-the-dots of music. 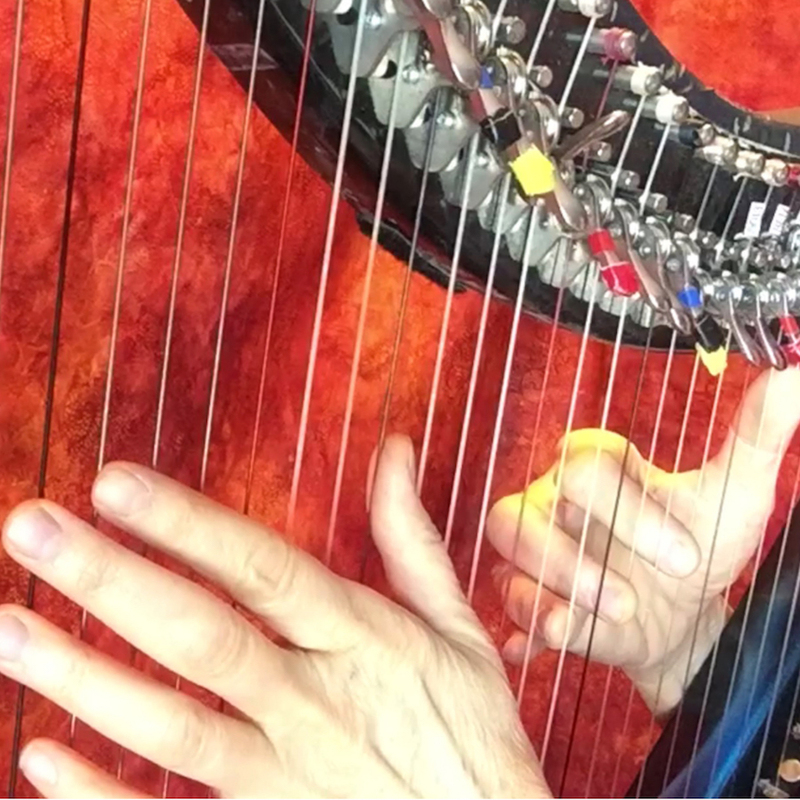 When you play this way, you leave the melody of a tune behind, and focus on the harmonic ‘roadmap’ – the same way jazz players do – and we use this method in “Jazz for Harps,” but “Fencepost Improv” is something you can do with any style of music. This is one of the greatest ways to start learning fluent improv. 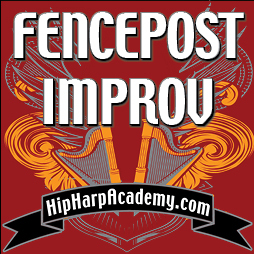 We’ll look at three different tunes and the many creative ways you can improvise from fencepost to fencepost with them. Most importantly, you’ll get to practice these with drills that take the guesswork out, so you can focus on playing! 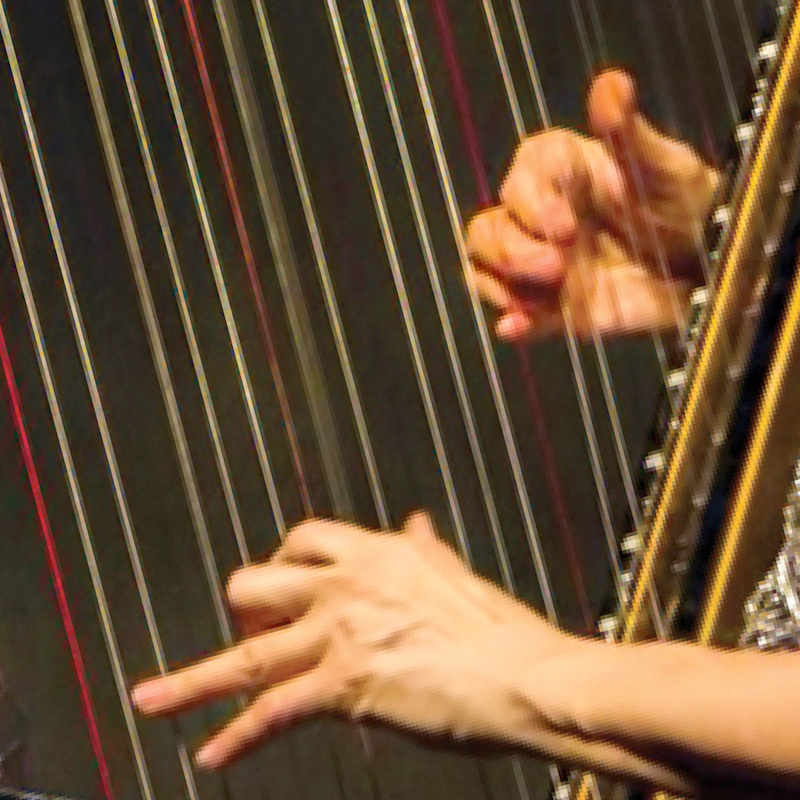 In partnership with Somerset Harp Festival, “Instant Ensemble” gives you five ensemble pieces that you can play with other people to create an instant harp ensemble – or mixed instrument ensemble. More info to come – refresh your browser to see the most updated info. 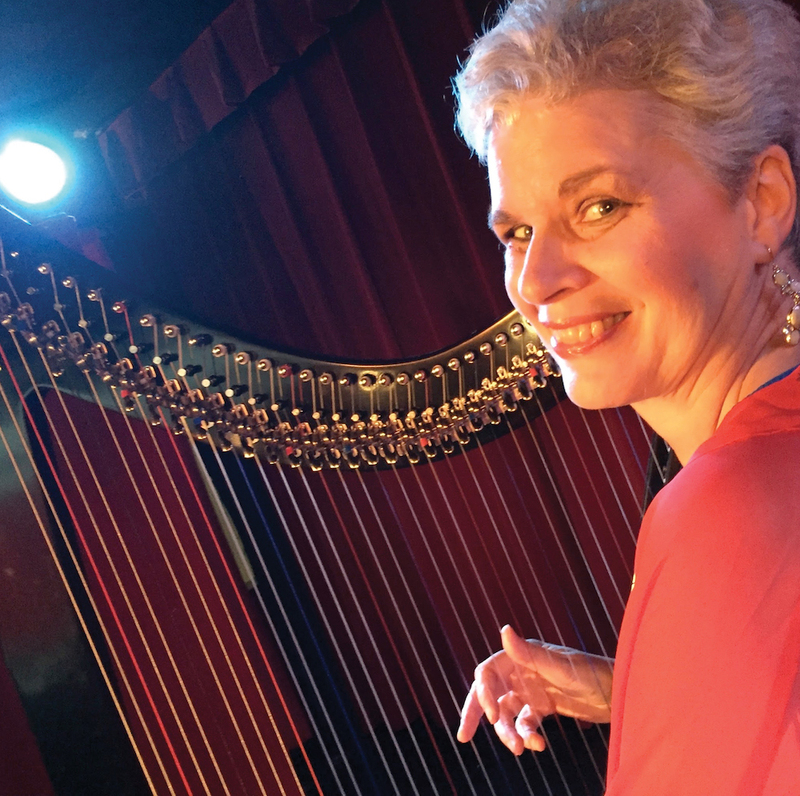 “Instant Ensemble” is scheduled to start July 1, 2019 and will run in conjunction with my all-day live “Instant Ensemble” workshop at Somerset 2019 Harp Festival in New Jersey, USA. 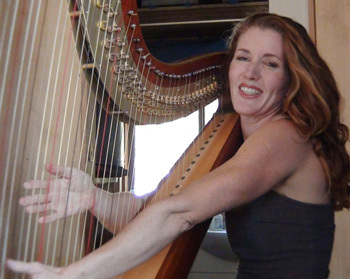 “This was the single most important musical course I have ever done in years of learning harp, and I would recommend it to anyone at any musical level. 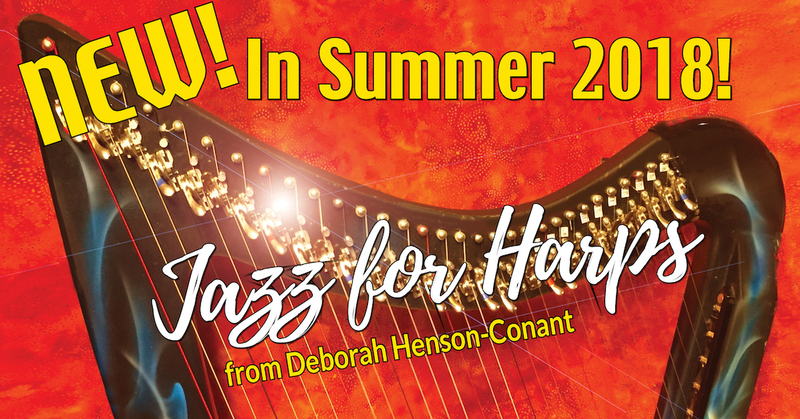 BONUS ENROLLMENT in my first ever 4-Week “Jazz for Harps” Beta program. 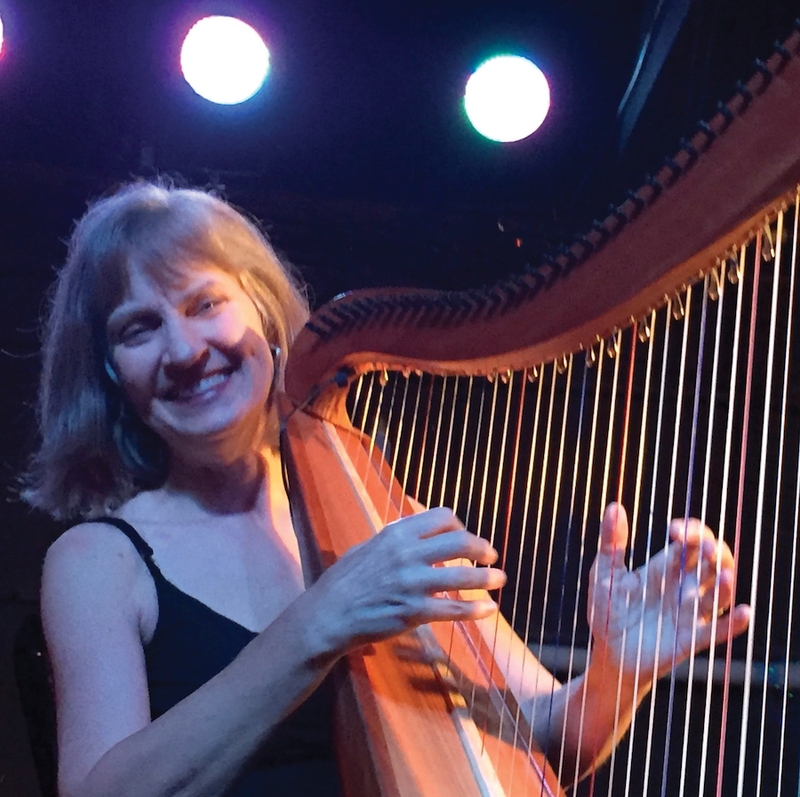 This brand new 4-Week “JAZZ for HARPS” Beta program is normally only open to Hip Harp Academy FULL Yearlong Members – so jump in on this bonus now! This is a chance to take everything you learn in “Blues Harp-Style” and learn how to apply it to jazz tunes. 16+ CLASSES IN ARRANGEMENT, IMPROV, PERFORMANCE & MINDSET: a yearlong support & challenge to help you create new REPERTOIRE, TOOLS, SKILLS & INSPIRATION throughout the year. This includes classes you can access at any time 24/7, or you can follow a schedule of GUIDED classes (see the list below) – all audio & PDFs are downloadable to add to your personal training library. LIVE ONLINE CHATS, FACEBOOK COMMUNITY You get to ask the questions YOU have, and DHC personally answers them in the CHATS, which you can attend live or watch the replays which you can watch over and over; You also get to connect with a Facebook Community of supportive creative colleagues throughout the world — from dedicated, impassioned amateurs to professionals who know they want to keep expanding their expression. YOUR TEACHER – YOUR CLASSMATES – YOUR COMMUNITY – You have several ways to get direct answers, input or feedback on your questions and your work, through the “Ask a Question” page, live online chats – and through the assignments and project you get DHC written or video feedback on how to implement, where to go next, how to simplify or embellish. 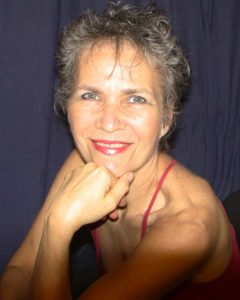 A MASTER TEACHER, your coach, teacher & mentor is creative artist, like you. She’s searching, growing, learning like you. Like you, she has creative challenges and, like you, she reaches out to her own master coaches to get answers … and then brings what she learns back to you, along with her own knowledge. A Grammy-Nominated, international touring artist who values your questions and insights in creating the next steps for your personal creative journal. 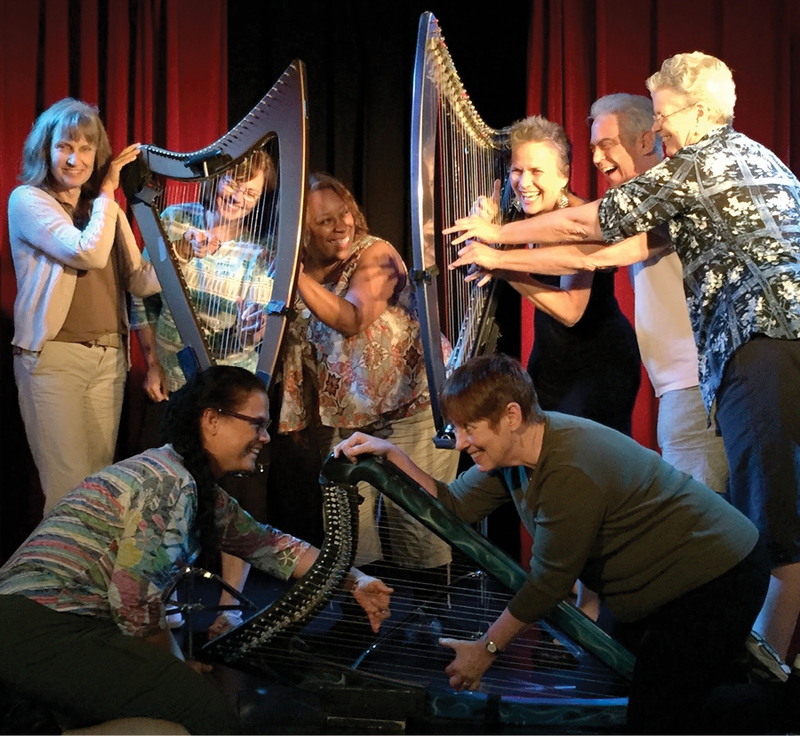 This is the training I wish I’d had when my harp journey began. It took me years to learn each of these concepts that I’ve now distilled into the programs in this course. The Academy is like a creative university in the art of developing as a musician. Take all the courses in this YEAR-LONG CURRICULUM – or just take the ones you want. Each new course is a new beginning, so you can’t fall behind. You’re always right on time. I personally guide you through the curriculum — and each guided course includes weekly Q&A chats, plus replays if you can’t make it live. Do you prefer going at your own pace? You can take the courses on your own anytime, and review as much as you want throughout your membership. These are the projected or basic dates of the GUIDED Programs. All Foundational Classes are also available immediately for self-paced learning. Always Available in the Academy FULL Level: Quick-Technique Courses like “Loopers” and “Amplification,” an all-day Virtual “Hands on Harmony” retreat plus shorter “Beyond the Page” courses and challenges. The schedule may shift a little during the year, especially if I add a new course (which students sometimes convince me to do!) but these are all the courses currently in the curriculum for you! If you’ve been in the Academy for at least one year & you’re renewing, use this order form to RENEW with your discount code and put your renewal discount code in the Promo Code field. You’ll be able to choose to pay in full or a payment plan. Renewal also gives you ‘Elite’ status with extra Elite-Only chats. If you didn’t get a renewal discount code in the mail (or lost it), use the “Ask a Question” form to let us know and ask us to send it to you. I can’t wait to spend another year with you!! If you’re upgrading from “Jazz for Harps,” “Building the Bones,” or another program and you have an upgrade code, use this order form to upgrade — the standard form above won’t take your code. Don’t have an upgrade code? If you’re already in a single class and you want to upgrade to the Full Yearlong Academy – but haven’t gotten an Upgrade code, use the Ask a Question Form form to ask if there’s a special code discount for your specific class. I look forward to spending the year with you!! 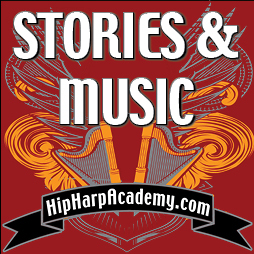 Hip Harp Academy Full Yearlong Membership includes over a dozen classes, including Hip Harp Toolkit / Arrange Yourself, Jazz for Harps, Blues Harp-Style, Summer Harp Jam, Strings of Passion, Baroque Flamenco Beyond the Page PLUS any bonuses offered for individual classes. If you have questions about how it works, just email using my Ask a Question Form. JOIN NOW & lock in your price! and express yourSELF with it! What if this is the beginning of the greatest creative adventure of your lifetime? It has to do with letting GO of what you think you need to do and learn the concepts, skills and mindset to set yourself – and your instrument FREE. You’ve worked hard to get your instrument and learn everything you’ve already learned. It’s finally time to put everything you’ve learned – and everything you are – into full expression! I will show you how in the Hip Harp Academy. 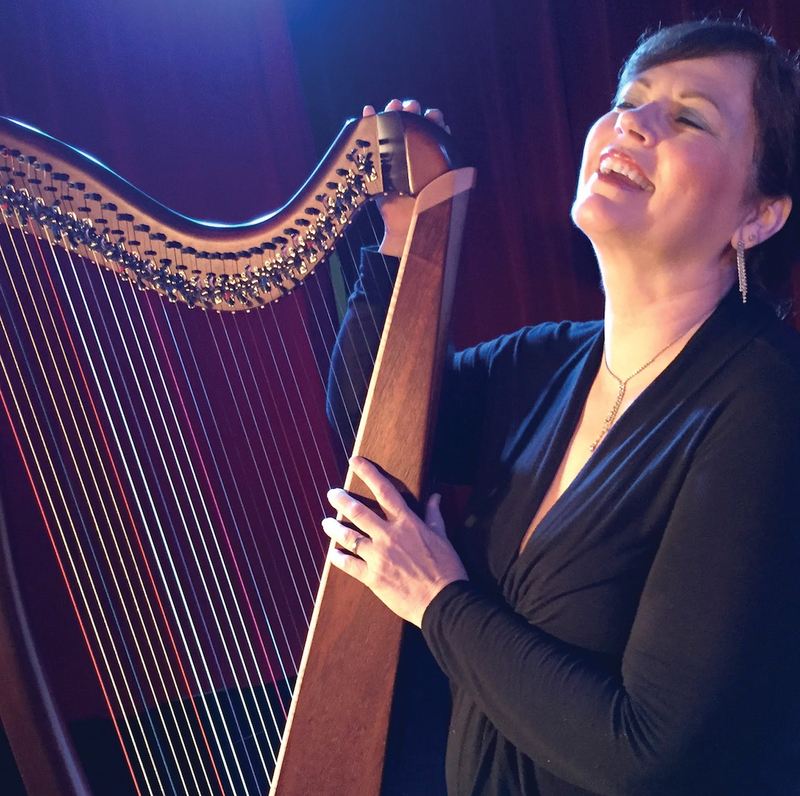 I’m Deborah Henson-Conant and I’ve created the Hip Harp Academy just for YOU, the creative harp player – whether you’re a dedicated, impassioned amateur from fledgling to advanced – or a professional who longs to liberate yourself from the notes on the page. How long is the Hip Harp Academy? 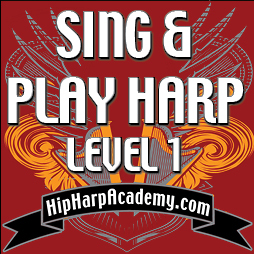 You are signing up for a 12 month commitment when you sign up with the Hip Harp Academy. That means that you can take any or ALL of the courses in Hip Harp Academy, either at your own pace or in the guided interactive versions I’ll be leading — or BOTH — at any time, or as many times as you want for the whole year! If you renew your membership at the end of that year, then you’ll get another whole year of access. You can join the Academy any time and get 24/7 access to all the learning modules to learn at your own page BUT we recommend starting when the guided courses begin, which happens several times throughout the year. That means you’ll be able to ask questions about the modules during the chats that take place only when guided classes are being run. What if I’m not Tech-Savvy … or a downright Technophobe?? Even people who consider themselves completely non-tech-savvy have said they’re able to access and enjoy the course. Some people even say that one of the big benefits of the course is getting more comfortable with online tech formats! Most course modules are provided in 4 formats including ‘lower-tech’ versions (audio files and PDFs) that you can download to your own computer so you don’t need to use interactive software like streaming. PDFs: Many classes also include a downloadable PDF version of the text & images that are on the screen. Some include simpified cheat-sheets, overviews or playsheets instead. One of the things technophobes (like I was!) love about my courses is that they become so more web-and-tech savvy just by taking the course. If you’re taking the VIP add-on, and submitting videos for me to give feedback on, we even have a short video tutorial to help you learn to create videos, submit them to YouTube and keep them out of the public eye! Are ALL the courses already available right now? If I wanted to hunker down and take them all in the first month could I do that? Yes and no. We’re currently moving all the courses from the old classrooms into the Academy. Realistically, moving everything may take us ‘til the end of the year BUT people who need access to a particular course because of material they’re currently preparing can get immediate access to any of the older classrooms where they can immediately go through it all at their own pace. What Courses are actually included in the Academy? 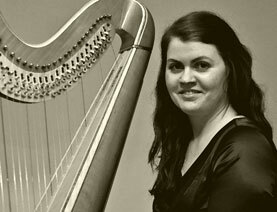 Hands on Harmony – Get a theory and harmony foundation from a harpist’s perspective! (Learn more at the “Hands on Harmony” Info Page. 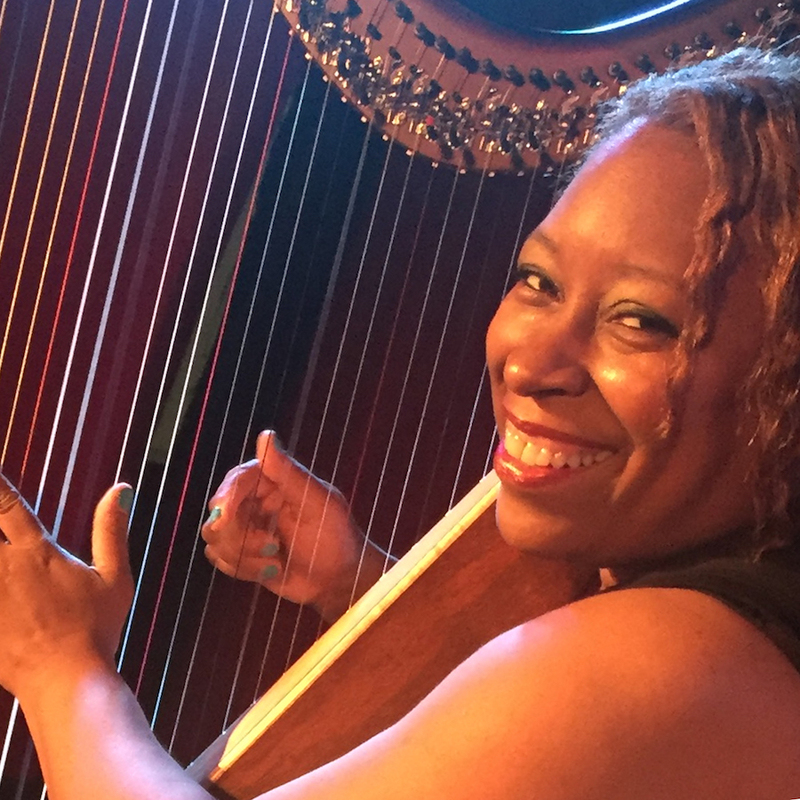 Strings of Passion – this is a brand new program I’m developing in 2017 and everyone in the Academy will have the chance to participate in the debut Beta program, though it may be moved out of the Academy later on – so if you want to get it for free, make sure to sign up for “Hip Harp Academy” now. When are the courses available and for how long? The courses are available all the time for people who want to go at their own pace, and they’re available as long as you remain a member of the Academy – so once you purchase your membership, they’re available for a whole year. If you renew your membership in October 2017 they’ll be available for another year. In addition to being able to go through the courses at your own pace whenever you want, I will ALSO be running “Interactive” versions of each course on a schedule throughout the year. Once you’re in the Academy, you can choose either option – or both – whatever makes the learning work for you. How do the “levels” of the Academy work? FULL LEVEL includes all the online courses I’ve created in the past 4 years (you can see them listed below) PLUS additional “Beyond the Page” courses I’ll create throughout the year. Each of the main courses runs for 4-8 weeks plus review and implementation weeks. When you join at FULL level, you can take any of the courses at your own pace any time OR join the guided interactive versions of the courses OR do BOTH. VIP LEVEL – the VIP is an ADD-ON to Full Academy Membership. VIP gives you access to several “VIP” only chats, plus DHC’s personalized feedback on up to 18 homework videos you will submit, along with personalized feedback on your final projects. Is there any way to see inside the Academy to get an idea how it’s set up? YES!! You can sign up for my FREE “HaRpy Birthday” mini-training (https://pr205.isrefer.com/go/HBF/DHC/) and you’ll get right into the FREE level of the Academy where you’ll see how it’s all set up. What if I live in a timezone that makes it difficult for me to attend ‘live’ events? Will they be videotaped for replay? The answer is: Yes and Yes! Exactly what is the cost and does any discount come AFTER the $997 yearly membership or does that price include the discount. The regular yearly membership is $997. If you have a discount code, it reduces that price. More importantly, once you use a discount code, that price is grandfathered in – and your price will remain the same for as long as you keep renewing your membership in consecutive years. If I join the Academy with a discount, can I rejoin in following years at the same discounted price? Can I apply a discount to upgrades in following years? FULL QUESTION: If I use a discount to purchase the FULL Academy, can I apply it to an upgrade (like VIP or JAZZ or HARNESS YOUR MUSE) in following years? Or is it only to be used for the same level as FULL again? YES – right now there is. That may go away at some point, but right now we have a 12-month payment plan which gives you the option to spread out your payments throughout the year. Remember that you’ll save money if you pay in full because there’s a small finance charge on payment plan – but when you use your discount, that finance charge goes down by the same discounted amount, too. We operate a strict no-refund policy. Join the community, take action, invest your heart and soul in our own creative expression and you’ll never want to leave, let alone a refund… trust me! The next question might be the one you have! So if I the answer to your question isn’t listed above, send it via my “Ask a Question” form and I’ll try to answer as soon as I can! 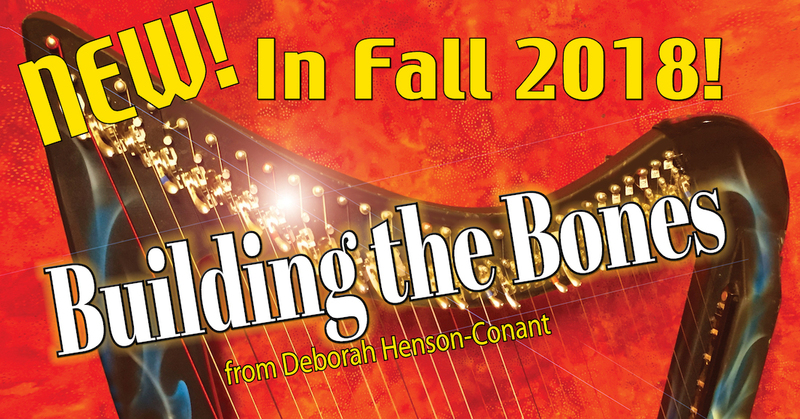 Current Guided Program, 10-Week “Hip Harp Toolkit” is currently in Session. or join the First-to-Know list by downloading my Freebies.